About Us We are completely dedicated to your total satisfaction. If you have any suggestions or comments please email us using the link on the store page. Making A Purchase Fit for Purpose unless otherwise agreed all items we sell are sold as toys and for racing purposes.. Under distant seller rules you are liable for the delivery costs. In some cases goods will be bespoke by us and will therefore not be covered by the distant seller regulations. Items ordered specifically for you cannot be returned unless faulty. If you are unsure please ask us for further explanation before we accept your order. ie many items are tested ,opened, re packaged so the racing toys are fit for play and clubs. Some collectors require items as they leave the factory if this is your requirement you will discuss the purchase with us ad we cannot guarantee the item in this instance and the distant seller rules are not approriate. We accept Am Ex, Visa , Mastercard and most debit cards. We can now take paypal. We do not charge for any item until it is ready to ship. Backordered items are not charged until they are shipped. You may send your credit card information via phone, fax, snail mail or over the Internet. When confirmation of order is received, this is to indicate that we have received your order. It does not indicate that a contract exists between us. We will indicate acceptance of your order, and hence a contract between us, when we send you an invoice. We have included this term to protect us in the case that a mistake has been made in pricing, we have inadvertently under-priced goods or the postage, or we are no longer able to supply a particular product for some reason. In the case of a change of price, we will always contact you first to ensure that the price is acceptable. Additional post and insurance may be required and we will ask your approval. Unless you state that an order is dependent on all items being supplied we will treat all items ordered as individual items. Shipping And Handling There is a small handling charge on all orders below £40. Discounts apply on larger orders.There is a £2.50 minimum postage charge. All goods are sent at the customers risk. We can arrange insurance on your behalf. Please ask about extra insurance if you do not want to risk item getting lost. As a goodwill gesture we will sometimes pay for insurance cover. under the distant selling regulations you have a cooling off period of up to 30 days if you do not want to accept the items. If you do not want the items you must infiorm us in writing within the cooling off period. However the items must not be opened or damaged. You are then responsible to return the items for a refund. The distant seller rules do not apply to bespoke orders. Delivery Schedule Goods are normally sent the next day however allow 7-10 days for delivery. We deliver your order right away and will send an email when goods are charged and sent. Tax Charges For orders made from the UK or the European Union, VAT is included. All other Countries are less 20% of goods value. Credit Card Security Call us with your cc details for a better deal than automatically pay. When the order is placed at our website, credit card numbers are encrypted using 128 bit encryption. They are only decrypted after they reach our computer. They are not held in clear text on any web site. Guarantee All products are guaranteed by manufacturer. All items sold are as 'toys' . However, some of our customers intend using the products for racing. 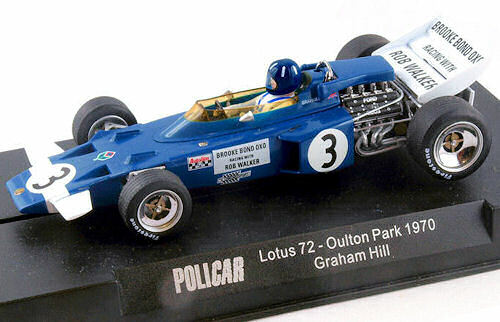 When model cars and real cars are raced damage occurs which cannot be guaranteed. Additionally damage can occur to a model car by inappropriate handling and lack of maintenance. Therefore all equipment must be checked before use. 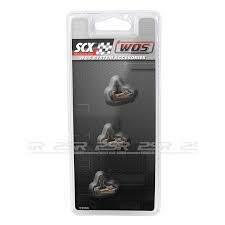 All items sold by us are intended to beused for racing puposes. Should you wish an item as a collectabkle piece you must inform us so that we can take and agree a bespoke order. Items as per the sale of goods act are sold as 'fit for purpose'. Fit for pourpose means items are purcahsed for racing purposes and as above damage may occur when the toys/items are raced. We will endeavour to guarantee your total satisfaction. Returns Policy Your rights to return goods are protected under the EU Distance Selling Directive which can be found at http://www.hmso.gov.uk/si/si2000/20002334.htm. Items must be returned in original condition. under the distant selling regulations you have a cooling off period of up to 30 days if you do not want to acceot the items. If you do not want the items you must inform us in writing within the cooling off period. However the items must not be opened or damaged. You are then responsible to return the items for a refund. The distant seller rules do not apply to bespoke orders. Remittance Terms If you wish to pay with paypal please inquire.